You don’t just want your vehicle to run its best–you want it to dominate. Lucky for you, the team at our Dallas custom shop has the same vision for your vehicle. No matter what sort of performance upgrades you’re after, our expert technicians can help. From small upgrades to complete overhauls, we’ve got you covered. If you’re looking for a boost in horsepower, we can recommend and install the perfect air intake and customized exhaust options for you needs. Our technicians have the training to perfectly sync your vehicle’s computers for your upgraded specs, as well, for optimum performance. Looking to take things even further? We know the feeling. Drop by our high-performance shop in Dallas and check out all we can do for you. We’ve got the turbos, superchargers, and HEMI engines you’ve been fantasizing about. There’s a certain satisfaction that can only be found behind the wheel of a vehicle that rumbles and roars exactly the way you want it to. 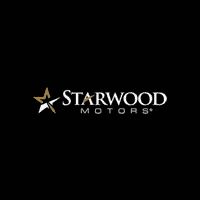 If you’re ready to take that power into your own hands, then it’s time to contact the Starwood Motors team by calling to get things started.